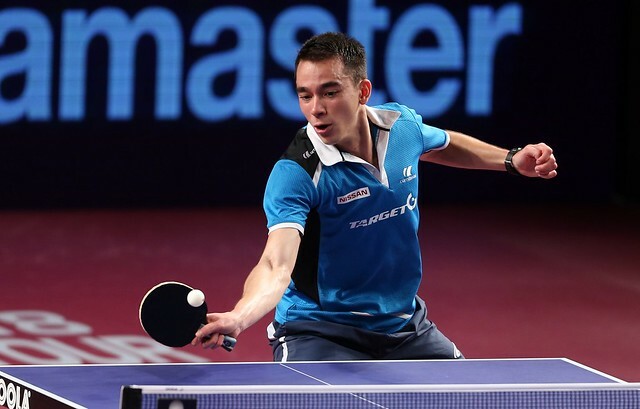 Winner one year ago when beating Wang Manyu in the final, at the Seamaster 2018 ITTF World Tour Platinum Qatar Open, on Saturday 10th March, for China’s Chen Meng it was defeat and a reversal of fortunes. The top seed, she was beaten in five games by Wang Manyu, the no.5 seed (11-8, 11-6, 9-11, 11-6, 11-7). Meanwhile, in the counterpart semi-final it was success for colleague Liu Shiwen. She overcame Japan’s Kasumi Ishikawa, the no.4 seed (11-5, 7-11, 11-8, 11-8, 11-4). In the world of male table tennis the star of putting one more on the table than your opponent and succeeding when your adversary has the advantage is Fan Zhendong; for the women my vote goes to Wang Manyu. It was very much that skill which enabled Wang Manyu to record an impressive win; notably Wang Manyu plays from a very central position; thus able to cover the angles her opponent may achieve. Equally it enables her to play her favoured forehand. Moreover, there is an air of confidence in the persona of Wang Manyu; she believes she can win the Women’s Singles event in Doha, her performance again Chen Meng suggests that outcome is more than possible. She established a three games to one lead, before winning the first four points of the fifth game. Chen Meng called “Time Out”, she had little choice. Wang Manyu extended the lead to 10-4, six match points, Chen Meng saved two match points, Wang Manyu called “Time Out”. The decision bore fruit; Wang Manyu won the next point, once again a Doha final awaited. Consistency, the extra degree of consistency exerted by Wang Manyu was the key to success; it was also a vital factor in the contest between Kasumi Ishikawa and Liu Shiwen. She was now in the ascendancy; confidence blossomed, the fifth game and a place in the final was secured. The final of the Women’s Singles event will be staged in the afternoon of Sunday 11th March.